How many times have you heard of Long-Form Video Content? I think some times right, but do you know how Long-form Video content plays a key role in Video Marketing? Do you have an idea of How much content is enough for Brands? If you don’t know, that’s ok. Now we can research Long-Form Video content, What is exactly Long Form Video, how brands are using long-form videos, it’s advantages and more. A single word ‘video’ is the sovereign of the present global market by alienating the traditional market theme from the public. That type video content can be created in different forms like short, medium and long. Here we are going to discuss long form video i.e. which is having the length of more than 10 minutes of video content. For example movies and shows come under long form videos. 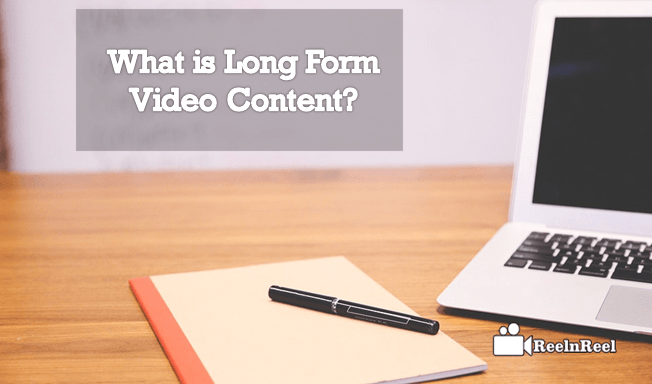 What is Long-Form Video Content? Long-Form Video is defined as over 20 minutes in length, more than half of the content is in the form of online video. Any video which is more than 3 minutes can be counted as long-form video. There is an ongoing race among content marketers for creating long-form video content, and there is a drastic change in video consumption in all the ways like on TV’s, Tablets, Smartphones, and Computers. Once if you check on Statistic Long-Form Video content consumption is on the top of the board especially from Mobile devices and big screen TVs. The long form video content creation is used to get the better search engine results for our video as it has a broad explanation which has been mostly preferred by the audience. As it has deep content then it will be shared automatically on social media sites like Facebook, Twitter, Instagram, Pinterest and YouTube as well. The huge count of share will make a sketch to figure out the brand of video content. If it has good recognition in the social media then automatically others will generate your links at their blogs which help in getting their audience as well. The video is the most trending in today’s digital media. All the advertisers are the rush to buy the long form video content from content markers. Nowadays consumers are enjoying long form video content from big screens. Long form video placed on the top, more than 90% of long form video consumed from the digital video viewers. People of all generation are watching digital video ads from Traditional televisions. Long form video content increases shareholders prise in digital video advertising. More than half of the long form video content viewed from traditional televisions and the remaining half driving from mobile devices. According to the research from different ways, mobile should be possible to make it as short. Because every second of the mobile video ads count. The video marketers are expecting that mobile video growth doubled by the end of 2019. Long form videos like TV ads, TV daily episodes, movies are consuming from mobile users. Mobile video viewers first concentrate on the quality of the video content it should be impressive, should connect with the characters then long form video works here. So it’s been changing everyday marketers are spending their huge amount on mobile video ads content. The US like countries video consumption almost reached to more than 90% through smartphone and tablets. This type video content will be used to save the time spent by the audience i.e. a byte sized video content will be played by mentioning the outlines of the intended matter. Short form video content is device friendly in all cases. As well as it doesn’t take a much buffering time to play. Overall description of the video content will be explained with all details about what we created that means pin to pin will be disclosed through this long form video. It also can be accessed on tablets and mobiles in most of the cases. The audience can spend most of their time to watch the video which helps to grasp the potential clients. Including YouTube the OTT platforms like Netflix, Amazon Prime and Hulu are draining the vast number of cable TV subscribers towards them by using the concept of long-form videos. To improve the business of advertisement Facebook has chosen long form videos to build. As it has millions of users and it has the advanced play option of auto play are most beneficial to play long-form videos. When they are live streaming any trending movie or event 90% of the audiences are excited to watch completely. Hence in the middle, they roll the ads and this helps to the most of the companies to explore their products or services at only millions of users. Most of the companies are enthusiastic to launch their ads on Facebook as it is the brand ambassador of the major social media platform that has an inerasable reputation. The audience can claim more video content before and after the ad plays hence every user might not be bored to watch the ads in middle. As everyone knows that YouTube is trending video site where we can find plenty of videos belong to all categories. By keeping that in mind the YouTube is giving preference to long form videos to get better monetization results. Most of the audience will watch the long form videos when they are passionate about one topic such type of users mostly visits the ads they play in the middle. The live streaming on YouTube is a type of long form at which the audience being for most of the time. The long-form videos will make the beginner to expert in a particular topic of video content. So everyone will allocate time to watch it. Most of the branded companies are looking to cope up with YouTube to launch their ads for the better reputation. The subtitles play a vital role in long-form videos to get the huge traffic that means when your video spreads to a different location then it may vary from the language. Then how its possible to watch though you have used the precise content. It’s better to add the subtitles for the video you upload. Another crucial point to remember is the thumbnail of the video this will entirely affect the performance of your video to engage the audience. So use effective thumbnails that should eye-catch. Finally, use the option of call-to-action which could be the beneficial way to drive the huge traffic. Mostly share the long form video content on social media tracks like Facebook, Instagram, Pinterest and Twitter where it can find huge demand. Use the original and genuine content that really happened and don’t include any predictive content. Mostly prefer the trending topics for which the public can easily connect. Try to introduce the concept of backlinks which helps to get unexpected traffic. Use good titles and description for the video that appears on a search engine to target the estimated audience. Each and individual brand wants to be the number one in the stack of the success. Hence, they look for all the available ways to build the strong customer traction through an audience. This can be possible only through the establishment of excellent content while making promotions. Long form video content will drive the more conversion rate, watch time through audience retention. Here are some of the brands which have inaugurated the winning strategy in the history of advertising through long-form video content. This is the ultimate brand for online browsing that everyone will be a this hub since morning. Though it has such a perpetual reputation through its services that no can reach before and after, it has chosen the concept of long form video content to disclose its advanced features at the users. Even though, it is the galaxy of content including video content on YouTube. The content on Google is freely available which is more effective, informative and interesting for all. In the video campaign “Google interns’ first week” they had announced the concept of internships that inspire the people to work with it with the words of the participated people. Starbucks is the only hallmark for the coffee where the coffee lovers can get the peace of relaxation with it.This has blown the brand of it by launching the long form video content. This has done created an amazing story of Pumpkin Spice Latte which is available as “Starbucks PSL Pumpkin Hatch”. The creativity of this video is outstanding that generates some fun in the stream of story. This reveals how they make the PSL with the fine flavor of pumpkin. This creates excitement to watch till the end of the story. The thirstiness of ones can be blocked with the single sip of Coke, especially for the Coke fans. It is the world-famous figure that has framed the unique identification as the stubborn brand of serving refreshment with its chilled drink. Each house will be left with no coke in everyday life of their routine. These mesmerise fans with the astounding storytelling through long-form video campaigns. This has launched the “Coca-Cola: The Last Customer” video campaign which is emotionally touched all audiences that no one can forget. Here the delivered message is how Coke is the bridge to build the relations. This is very famous for the world of Toys. This the toys of this group are manufactured to generate the fun for the kids which can be assembled in many ways. Making of multiple toys through one is possible only with the toys of Lego. This has made the long form video campaigns as the seasons to make promotions of those toys at the audience. Most of the fans of Lego also created the number of videos on Lego. ‘Rise of the Snakes – LEGO Ninjago’ such a type video that has 4+ million views. 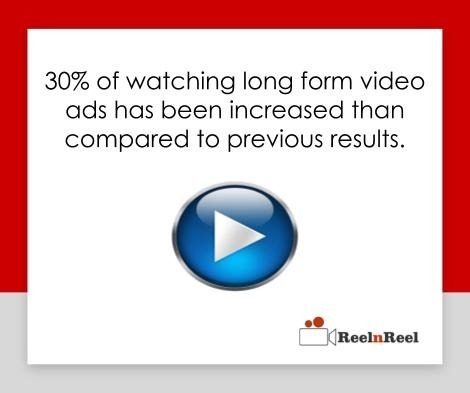 30% of watching long form video ads has been increased than compared to previous results. From the quarterly report (Q1) in 2017, we can find 65% long form video content watch time, especially from the desktop. The highest watch time of long form video content in 2016 is at Q4 i.e. 55% than Q1, Q2 and Q3. The mobile watch time of long form video in 2017 at Q1 is 55% and at Q4 of 2016 is 47%. Through tablet the watch time of long form video is 65% at Q4 in 2016 and 81% in Q1 of 2017. TVs also have acquired 98% of watch time in 2017 at Q1 and 96% in 2016 at Q4 for long form videos. 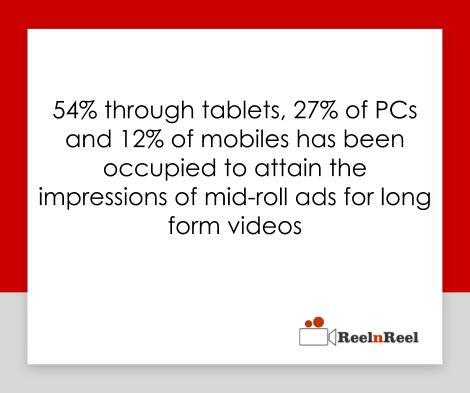 Through the mobile, the rate pre-roll ad completion for long form video is 85%, from tablets85% and 90% from PCs. The impressions for the pre-roll ads are 37% from desktops, 16% fromtablets and 31% from mobiles during the year 2017 in Q1. 54% through tablets, 27% of PCs and 12% of mobiles has been occupied to attain the impressions of mid-roll ads for long form videos. Is it a quite interesting topic to find the importance of long form video content for the reputation of branded brands and start-ups as well. How the brands making use of long video strategy to build their identification as an unerasable watermark in the public is disclosed here. Just you are not aware of using the long form video content just go on implementing and find the results at a glance.